Growing a business is a continual learning curve. Starting a business from scratch can often reward you with a settling in period. Your financial records would have been simple, your sales were possibly steady and marketing could be basic. As the momentum builds and your business grows, your business transactions have no doubt increased in complexity. Systems, processes, streamlining and niching have become increasingly important. The need for professionalism and consistency has increased. A large percentage of these things require skills that you didn’t have at your businesses inception. 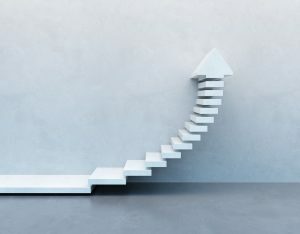 So, as your business continues to grow and expand, how can you adapt to cope with the new and developing skill sets that this journey requires? Initially, most business owners know what they don’t know. In our experience, most entrepreneurs start a business in an industry or a profession that they are highly skilled in. The result is that the core of the business is sound and well nurtured. The less robust areas of the business can often be the departments outside of the core delivery of the businesses services. Departments such as finance, HR, IT, admin and marketing. Fortunately, these weaknesses are rarely a surprise so the gaps in skills are easily and quickly identified. For start-ups and smaller businesses, the most cost-effective way to strengthen these weaknesses is to upskill. This could involve enrolling on a short in person or online course to build upon the skills and interests that you or a member of your team already has. A more cost effective, but arguably diluted method, is to consume the vast amount of free content that is currently available. As more businesses begin to use content marketing as a way of creating awareness of their services, the internet is beginning to fill with good quality webinars, blogs and white papers which can assist you on your educational journey. The downside of free or cheap education is that it is often very generic as they are designed to assist with the masses rather than the individual. As your business begins to become more complex you may find that you are naturally beginning to seek out more bespoke solutions. Sometimes though, your budget and business needs might not require a fully custom service. It may be that all you need is some direction to help to realign and improve current systems. In these cases, it may be worth investing in one on one training or for an external business to come in and offer a business consultancy service. A good business coach could also be an option at this stage. For a one off, or short-term block of fees, they can apply their expertise to your current systems. This will help you to identify any shortfalls in your knowledge and possibly highlight any areas that need further and more detailed attention. Equally, you may have chosen and started to use a new system based upon the knowledge you accumulated when you began to upskill. We find that a large percentage of businesses choose to use the accounting software Xero because of their own research. We are then approached to assist with the training so that the software is used efficiently and correctly. Sometimes an event may occur within your business that makes you realise that you need to consider outsourcing. The pressure of an increasing workload is a very common factor. You may have found that you are having to turn away work or delay an overdue holiday because of the mountain of work on both your and your teams’ desks. It could also be that you’ve discovered something you didn’t know that you didn’t know. This can often be related to the financial functions of your business; so, a sudden shortage of cash, unexpected tax bill or an inability to obtain funding. Marketing is another area that can surprise you. Inconsistent or inefficient marketing campaigns can result in leads and enquires drying up unexpectedly, or your time being consumed by the wrong type of customer for your business. Events like these may lead you to conclude that you do not have the time or the expertise inhouse, so outsourcing becomes a pressing and attractive option. By outsourcing correctly, you are ensuring that this function of your business is being undertaken by an expert. This should result in this area becoming more efficient and more effective. Another advantage is that it gives you the space to begin to consider the desired outcomes. So instead of doing the bookkeeping, you can spend your time discussing and implementing ideas based upon the management reports. Outsourcing can also be an attractive option if your cash reserves or your work levels fluctuate. Committing to an additional employee can take up your time as well as providing your business with another fixed cost. Having the ability to increase and decrease the level of support that an outsourced solution can provide can ease a bit of the financial pressure. As your business continues to grow, you may decide that it has become more cost effective to bring the expertise back inhouse and employ someone to fill the knowledge gap. This could be to increase responsiveness if you are currently using an outsourced solution for what has become a fast-paced department. You might also consider this option if the department has grown to the extent that you are currently being forced to pay your outsourcer for tasks that are below their level of expertise. An example of this would be your finance department. You may have engaged the services of a bookkeeper who then produced management reports. However, as the number of transactions increased, a disproportionate amount of their time has started to be taken up by data entry, raising invoices and maintaining credit control. Bringing in an inhouse bookkeeper to undertake these roles will allow your external bookkeeper to refocus on the management reporting; something that can be more complex to produce. It is possible that your business will repeat this cycle for quite a while as it continues to grow. You’ll take on a new member of staff, upskill them and then offer additional training. All the while complimenting this with outsourced expertise when needed. But ultimately building a team that contains that expertise that your business needs and one that can report back to you, rather than you having to fully understand every process and system. Depending on the size of your business and the complex knowledge and processes required to run certain departments, you may decide to fully hand over control to an outsourced team. We’ve found that popular departments to do this for are accounting, marketing, HR, IT and legal. This is predominately used in situations where you require a fully customised solution but you do not have the amount of work required to employ someone of every level needed to complete this. An example might be in accounting. So, to have a department that meets your needs and performs efficiently, you might need a bookkeeper, an accountant and then a finance director. However, your business might not generate enough work to justify employing three people, even on a part time basis. Outsourcing to a business like Inspira, means that you have access to these people but only pay for them when you need them. Another advantage to having a fully outsourced department is the knowledge that they will be ensuring that they are the best they can be. So, they will be investing in their own expertise, training and systems. They will also provide holiday cover so you’ll have access to the same service all year round. As your business expands beyond your expertise, you may find it hard to let go and trust the ability and knowledge of other people. However, as we discussed in our blog “Why your delegation skills can make or break your business”, the inability to delegate tasks will hinder the growth of your business. We recommend that you embark on training that empowers you to hand over these key tasks. It may mean that if we were to train your staff on Xero, you would sit in on one of the sessions. It doesn’t mean that you will undertake any of the bookkeeping yourself, but having an awareness and basic understanding of the software could help you to pass that task on to your team. If you still feel uncomfortable, you are not alone. We work with high growth businesses so see our clients feeling challenged by these very concerns on a regular basis. As a result, we’ve invested a lot of time into our business coaching, so we can help guide you through any worries you may have. So, if you’re worried about not knowing what you don’t know or would like some support making the right decisions to push your business forward, please contact us for an informal chat.